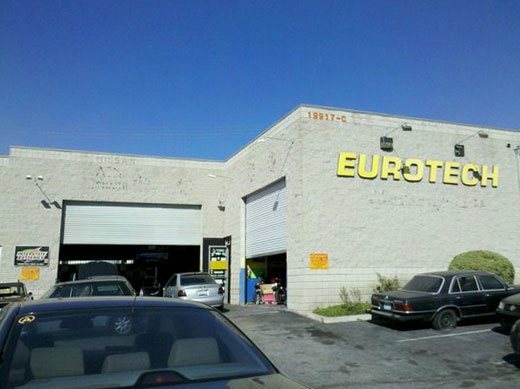 Eurotech Motorsports is a family-owned full car service operated business located in Walnut, CA. Since opening in 2002, Eurotech has established business based on quality work and honesty. Jaime Huerta (owner) has over 20 years of experience in the automotive field. They use the latest equipment and procedures for maintenance, repair, body and paint for your car to ensure that every job is done with the highest of expectations. They offer a vast range of services from oil changes to full auto body repairs. Get your oil change done right to ensure a longer lifespan for your vehicle. If your car was involved in an accident we do everything in our power to make the procedure is as less stressful as possible. We will work with the insurance company to make sure your car is fixed to recapture the original factory look it was meant to have. At Eurotech we do not believe in cutting corners. Our cliental is very important to us and we will treat each vehicle given to us as if it were our own. When we inspect a car we make sure to spot out any fixes or repairs that need to be made and ensure it is done with guaranteed success. Eurotech Motorsports specializes in European makes and models such as BMW, Audi, Volkswagen, Porsche, and Mercedes-Benz. Our goal is to ensure every customer is 100% satisfied with our work and their car.